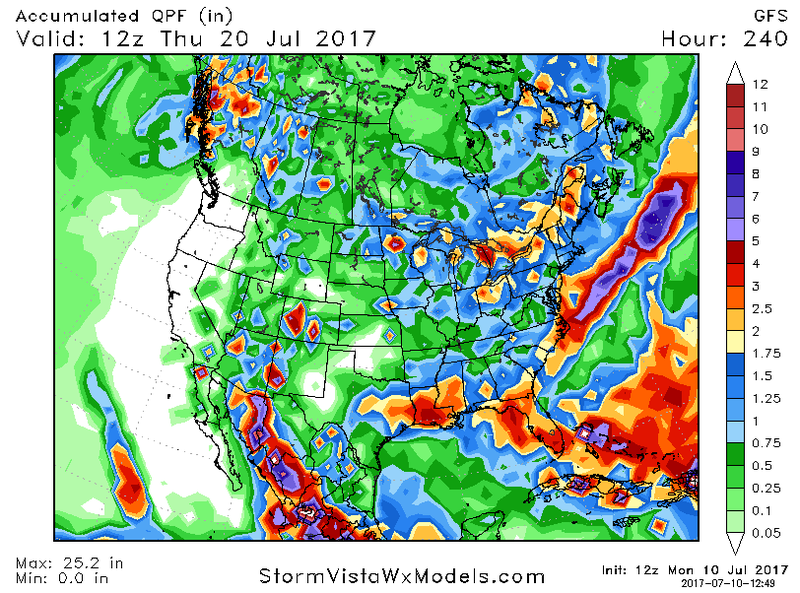 The market finally has begun to reconcile severe and expanding dryness, and a very likely lack of rainfall through the remainder of July. The major forecasting models are having some issues in outlooks beyond 7 days or so, but there’s a general consensus that heat and dryness will dominate much of North America over the next two weeks. The GFS’s 10-day precip forecast is above; the EU model’s is below. Supply-driven markets are typically solved fairly quickly – South American producers will begin to plant row crops in September, and will surely respond to any further rally in corn & soybean prices. However, for the time being, it’s impossible to disprove that corn yield could be as low as 160-162 bushels per acre, nationwide, at which point fair value will range between $4.20-4.30, basis spot. All the market knows currently is that yield potential is in decline. To what extent is still highly uncertain. 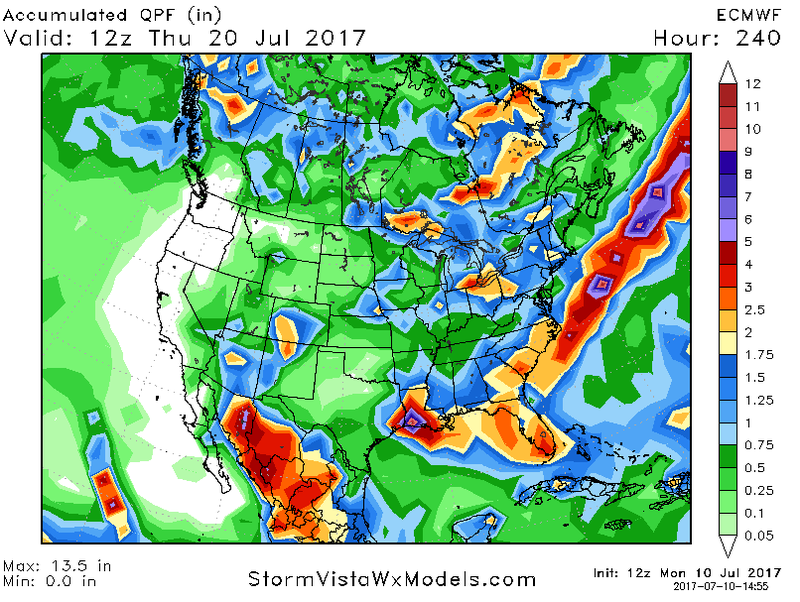 We at AgResource note that it’s not often that major pattern changes occur during the month of July. Last year the US was blessed with a wet and somewhat cool trend, so this phenomenon was welcomed. This year, however, it’s not likely a pattern change occurs until the angle of the sun changes, which will occur in mid-August or so. 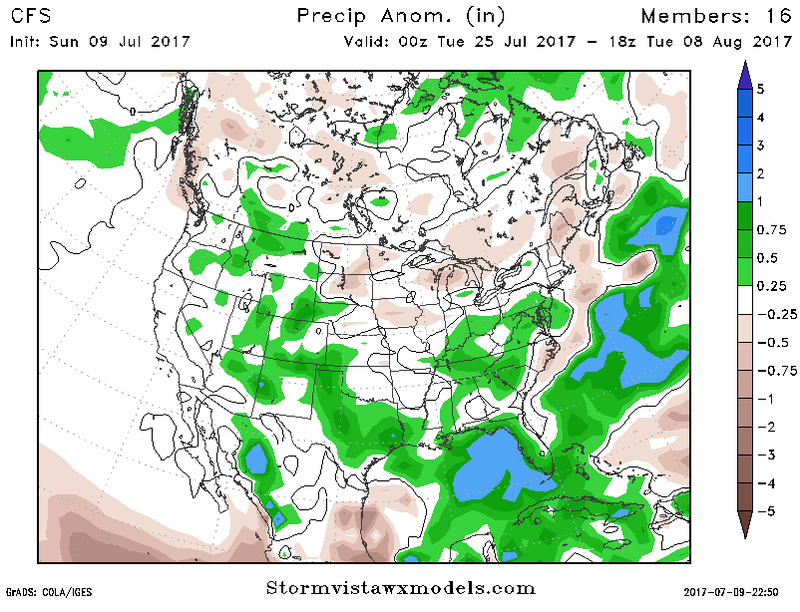 The 16-30 day precipitation forecast is above, and our bias lies towards below normal rainfall continuing throughout the next 3-4 weeks. As such, we advise patience with respect to new crop sales, and more than the US balance sheet changing, major world export production is also in fast retreat, and this should further validate that the post-2012 bear market ended last autumn. And if you’d like to get a full breakdown of the USDA’s July reports, sign up for a free trial at agresource.com.